BARCELONA, Spain, July 8, 2014 – MicroStrategy® Incorporated (Nasdaq: MSTR), a leading worldwide provider of enterprise software platforms, today announced a new packaging structure aimed at delivering the best end-to-end customer and partner experience, making it easier than ever to acquire, deploy, and succeed with MicroStrategy. MicroStrategy also announced that it is extending free upgrades for existing clients to the premium capabilities included in the new product packaging, offering greater value to clients and new users. The packaging changes will empower new and existing MicroStrategy clients to realize the full potential of their analytical applications using the most comprehensive analytics and mobile platforms in the industry. This information, and more, can be found at: www.microstrategy.com/experience. 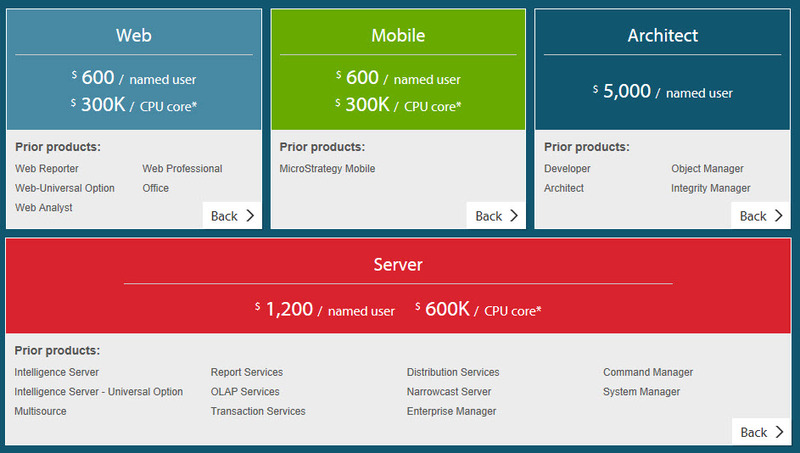 Under the new packaging structure, MicroStrategy’s full feature set, previously split into 21 discrete offerings, has been reduced to four simple packages that empower developers, analysts, power users, and consumers to take advantage of the comprehensive MicroStrategy platform with simplified value-based pricing. MicroStrategy added that the new packaging allows clients to more affordably deploy the full breadth of MicroStrategy capabilities (including data federation, write-back, closed-loop analysis, and automated report distribution, among others) to more users across the enterprise, giving end users full authoring capabilities as needed and integration with Microsoft® Office® applications. System architects gain efficiencies with the full ability to manage upgrades, migrations, and data loads, as well as free server administration and monitoring features. Within the four product offerings, clients will have all styles of analytics (self-service, dashboards, advanced analytics) across any interface (web, mobile, pdf, email report distribution) at Big Data scale—on an automated platform. MicroStrategy Server™ benefits all user roles. It includes a fully-featured server infrastructure designed to connect to multiple data sources, supports all major analytic styles from report distribution to information-driven apps to self-service data discovery, and scales to hundreds of thousands of users. It also includes administration and monitoring tools needed by organizations to effectively and efficiently manage their deployments. MicroStrategy Web™ empowers business users to consume, author, and design analytics through an intuitive web-based interface. Business analysts can use MicroStrategy Web to take advantage of the all-inclusive set of self-service analytic capabilities. MicroStrategy Mobile™, the award-winning, industry-leading interface for Apple iOS and Android devices, is an easy, fast, affordable way to mobilize analytics and information-driven applications to an increasingly mobile and 24 x 7 workforce. MicroStrategy Architect™ provides developers with an extensive set of development, deployment and migration tools needed to efficiently manage the application development lifecycle. The Company also noted that these four offerings complement the free MicroStrategy Analytics Desktop™ it made available last year. MicroStrategy Analytics Desktop is a free self-service business analytics tool designed to enable any individual user to gain deep insight into the user’s data by effortlessly creating powerful, insightful visualizations and dashboards.